Hi All.I am from Australia - and no, there are not Kangaroos hopping down our main streets and Koalas in every tree - LOL! (Hey - I lived & worked in Cali USA & got asked this 10 times a day - seriously! 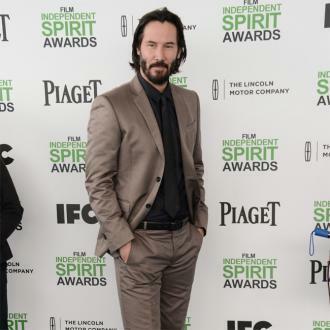 )I am a Keanu Reeves fan - just like everyone else here. Kinda sad really....one lovely man, so many fans.Question....how does someone write to a "star" - Keanu or anyone in that sort of A-List bracket? Can it really be done, or is it just a futile wish? And no, not an obsessed fan...."OMG I-love-you-if-you-don't-love-me-back-I'll-just-DIE !!!" kind of email or letter. I mean - a NORMAL one. The sort people seem to have forgotten how to write these days. Do you have to start with the cousin of a sister who's brother works for security at a film lot three blocks up from the one where he THINKS Keanu is filming and - well - there's this make-up artist trainee who works there and owes him a favour so he could - like maybe - see if she (all of age 18) can bowl up and ask some super-senior executive dude how to write to Keanu.....(and still keep her job)..... AND the info getting back to you AND being correct and not sold out to the highest bidder instead??Yeah. That's what I thought.Hmmmmm. Oh well. One can still dream (scheme? scream?) Oh stuff it. I'm off to look for kangaroos.....Kitty - Keanu Admirer yes. Obsessed Groupie - errr don't think so Joe. I met Keanu in when he came to Houston with his band dog star. I got a chance to meet him. It was 3am in the morning and there I was like a groupie. When I saw him he was a bit nervous and I understood why. Hollywood has seen it's share of psycho fans. I told him I liked his music and wished him luck on his tour. He smiled and ran over to where I was to shake my hand. That's what kind of person he is. When I hear of all these people who are trying to sue him it makes me angry. Get a life people. Leave him alone. He must be tired of everyone bothering him. He's good at what he does. Let him entertain. Thank You. Yeah, I've been into Keanu now for a little bit. I just came out of this dream where he was coming back from a trip and he was landing in my home town Anaheim. It was around Halloween time, and I had special powers with this cape of mine. I was really into him in this dream, and I had to earn him in a challenge of performance. I was having so much fun with my cape because it had the power of instant death and shrinkage on all evil people surrounding me. I was having so much fun destroying evil that I started laughing and I woke myself up. hello to my fellow keanu reeves fans!! !...i just want to greet my keanu a very happy birthday! muah muah muah...ahihihi....i'm sure there's no way that he'll get this message but i just want to wish him well, good health, happiness, and more blessings to come. Love you keanu and take care always. la verdad yo solo se español, pero me gusto la idea algo entiendo en ingles sus comentarios, la pelicula me parece espectacular, el me encanta me parece marco un antes y un despues, en el cine en todo sentido.tiene un argumento muy interesante y aparte el es hermoso!!! Everyone has forgotten the movie in which Keanu plays a character most like himself. A Walk in the Clouds. Yes, it's a love story, and I'm a die-hard horror/sci-fi fan, but this has got to be my second most favorite movie of all time. First place goes to yet another love story, Gone with the Wind. hello to evryone!! !i know that keanu won't be able to read the messages here but nevertheless i still would like to greet him happy birthday!! 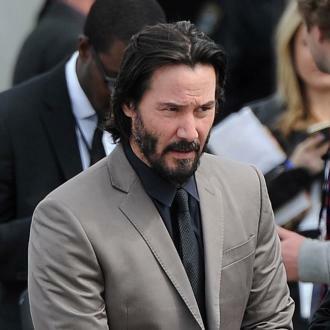 !keanu, i wish you more blessings from God, good health, and happiness in life. always remember that a lot of ppl really do care about you, support you, and love you...once again happy birthday!! !